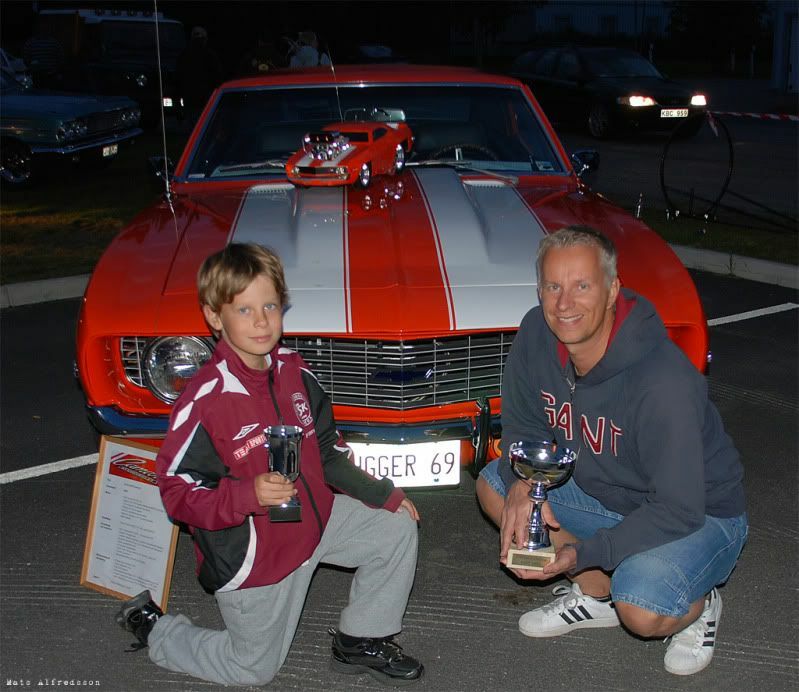 HåkansGarage » Post Topic » The Hugger is a winner!! The Hugger is a winner!! Me and my son went to a local Street Car show in my hometown late at saturday night. After spending a couple of hours among appr. 100 great lookin street cars with japaneese, american and europeean origin it was time for final – the winners in each class and peoples choise to be presented! The classes were Best Japanese, best European, Best American and Best in show – Peoples choice! …and who got grand slam?? THE HUGGER with it´s friend The MiniHugger!! 😀 We won Best American Car and Peoples choice! Pictures from Thomas Lövgren and Mats Alfredson. I don´t think we had the nicest car at the event but obviousley the the people thouht so and as you can tell, we won´t go against the people in this case!